We hope everything is moving right along the way it should be in your neck of the woods. Have you noticed a difference in the look of Inside-Peru? Well there are no BIG changes, but we have a new logo and are working on our header and also looking into making navigation of the site easier. 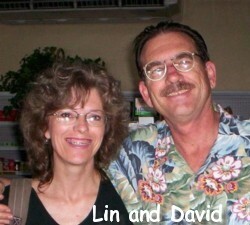 Lin and I have been busy here with lots of different things with summer here in the Northern Hemisphere. Those of you in the Southern Hemisphere, or Down Under, are working your way through the regular work or school year. For us, though, right now we are in the State of Washington, Pacific Northwest of the United States. Summer is here is the time of year for selling real estate. Why? Sun! Everything looks green, forested, and beautiful. So people want to move here. However... Then winter comes with those really short dark days, rain, clouds, cold, misery. Lin and I made it through one winter here and are now enjoying the few somewhat warm days here, the beaches, and of course the beautiful scenery. But we are glad we're headed for Peru before the cold and dismal days come again! In our ongoing contest, the past month of July was a little slim. As we see every year, the summer months are the slowest for Inside-Peru online visitors. Most people are busy with summer activities and most travel to Peru is in the winter time (northern hemisphere). Connie entitled her photo "Lively Folks" and it sure did reflect the colors and swirling dances typical of a Peruvian festival. Congratulations, Connie! Your photo will be on the front page and many other pages of Inside-Peru for the month of August. Be sure and let me know if you would like the photo linked to a blog or web page of your choice. August is here - New Photos! The Peru Photo Contest 2012 for August is currently running, so get your photos in for this month. Above all, as the month progresses, check out all the photos and vote on the ones you feel are the best. To see all the photos from each month, go to Pictures of Peru and follow the link to the August 2012 contest photos. Permalink -- click for full blog post "Cajamarca, Peru: Caution Advised - Ongoing Protests against the Minas Conga Project"
Pizza in Cusco - A Review by Michelle in Cusco. Pizzeria Dinos is a relatively new pizzeria located in Cusco, Peru, near the San Blas area. This sibling-owned pizzeria provides a small, cozy environment to enjoy thin crust, freshly made pizza. Permalink -- click for full blog post "Peruvian Food? Pizza in Cusco"
Permalink -- click for full blog post "Barriendo... - July 2012 Peru Photo Contest"
Permalink -- click for full blog post "Lively folks! - July 2012 Peru Photo Contest"
Traveling to Lima, Cusco or other Peru Destinations? MOROCOCHA, Peru (Reuters) - High in the Andes mountain range, a Chinese mining company is now in the housing construction and demolition business as it works to relocate a Peruvian town that sits in the the way of its $2.2 billion Toromocho copper mine. By late July, state-owned miner Chinalco says it will finish building a new city of paved roads and multi-story homes for 5,000 people currently living on the side of a giant red mountain of copper 15,000 feet above sea level. Eco-campaigners clash with developers over plan to build 125-mile road through rainforest. Permalink -- click for full blog post "El Anciano de La Plaza - June 2012 Peru Photo Contest"
Permalink -- click for full blog post "Dawn in Puerto Maldonado - June 2012 Peru Photo Contest"
Permalink -- click for full blog post "Parque Salazar - June 2012 Peru Photo Contest"
Permalink -- click for full blog post "Hola! Welcome to Machu Picchu! - June 2012 Peru Photo Contest"
Peru - Hotel special offers! Go where the deals are! Smart savings in these popular destinations in Peru. Permalink -- click for full blog post "New findings at Chavín de Huántar"